Airflow Meter: Our Digital Airflow Meter provides a quality air flow instrument that is easy to use and offers state of the art engineering features. Liquid Spill Alarm: The liquid alarm may be placed anywhere. Place the small, sealed, remote sensor (the detector cable length is 10 feet) on the floor, table top or wherever a spill may occur. Sound Meter: Our digital sound meter provides a quality air flow instrument that is easy to use and offers state of the art engineering features. 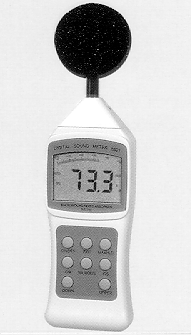 The meter can record up to 8 multi-point readings of air flow, along with air temperature.